When "Mad" was turned into a magazine in 1954, every publisher and his uncle came up with his own version, often using the same talent. 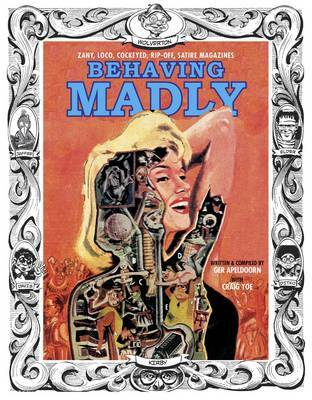 "Behaving Madly" presents 200 pages of never reprinted material by Bill Elder, Jack Davis, John Severin, Al Jaffee, Joe Maneely, Jack Kirby, Ross Andru, Joe Kubert, Russ Heath, Bob Powell, Howard Nostrand, Basil Wolverton, Steve Ditko, Lee Elias, and many others. This coffee table art book is produced by comic strip historian Ger Apeldoorn and Eisner winner Craig Yoe. Looking for a little more excitement in your life? Get mad and get Snafu, Lunatickle, Cockeyed, Crazy, Thimk, Frenzy, Frantic, Loco, Panic, and Zany, too!